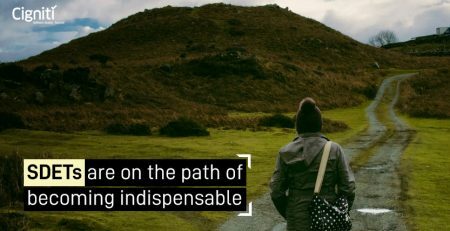 In an age of feverish go-to-market requirements that demands continuous deployments, test automation comes as a boon for performing and supporting continuous testing and delivery – especially functional testing, that requires testing to be performed continuously in conditions similar to the clients’ software development environment. Let’s take a quick look at what is Functional Testing. Functional Testing helps ensure keeping the product aligned to the specifications by testing the functionality of software. It also ensures that test scenarios including boundary cases and failure paths are accounted for. It tests in detail what an application ‘does’. In functional testing, developers need to set benchmarks that are developer-independent so that they can identify what they have not achieved. As users shall ultimately be running the application on a system along with other applications and the application must endure different user loads, developers need to ensure that every function of the application is crash resistant. To provide such a wide coverage of software testing, manual testing requires physical time and the repetitive nature of testing may become monotonous. Thus, to work in a fast, agile environment, organizations must focus on implementing test automation practices. Implementing test automation practices in an organization requires using software that can control test execution and compare the actual outcomes with the predicted outcomes. The process helps to automate tasks that though critical to the workflow, are repetitive in nature. Additionally, test automation can be used to tackle testing that would be otherwise difficult to perform manually. Test automation is perfect for large projects or projects that require testing the same areas over and over or projects that have already been through an initial manual testing process. Test automation enables performing comprehensive, end-to-end functional tests that lead to the development of a robust product. As 100% automation is practically impossible to achieve, it is important to choose the right test cases for automation with an aim to automate the critical functionality. Businesses should ensure that testing automation should not be done as an afterthought. Within the context of functional testing, test automation is an integral part of its strategy. Test automation makes it easier to perform end-to-end, comprehensive functional tests that help develop a robust product, ensuring that software is free of any errors. However, careful and high-level planning and strategizing is required to ensure that the test automation implementation is successful for the organization. 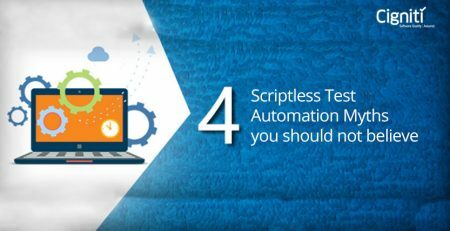 Here are a few key aspects that must be considered for adopting test automation for enhancing your Functional Testing practices. Build a team with the right expertise: The success of test automation within functional testing depends on the right skill mix within the team. This means that you need the right expertise and the right set of people, including stakeholders for driving the right strategy to achieve organizational goals, people who understand test automation, people who have a comprehensive understanding of testing, and people who are product experts. Ease of Use: User friendliness should be one of the key norms to consider during the evaluation of the test automation tool. It should be easy to create test scripts, test data, and re-usable components. Automation Speed: The test automation tool should enable rapid test script development. It should allow the automation of test cases with composite workflows. It should also enable speedy execution of test suite. Precise reporting and logging of the test execution play an important role in ensuring success. Technology Support: Multiple technologies are required to build a robust, seamless application. The test automation tool being selected therefore must be able to provide support for all the technologies/practices being used that may include databases, web-based user interfaces and services, mobile or thick client applications, file handling, etc. Specifically support DevOps: Continuous Delivery requires continuous testing. 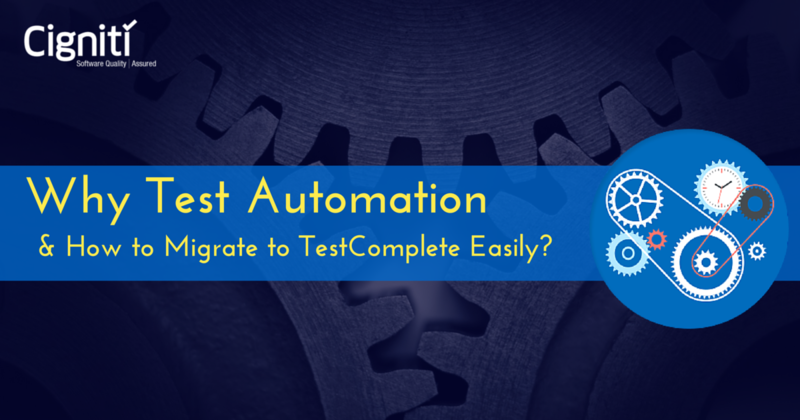 If you plan to implement the DevOps practices, the test automation tool selected must be able to seamlessly manage the Continuous Integration tools and infrastructure. Reusability and Maintainability: The selected test automation tool must be able to support easy traceability and modularity of changes, which, in turn, ensures high maintainability of the test suite. Collaboration: In today’s age of multi-location teams, if the implemented test automation tools and practices do not provide real-time collaboration, organizations will not be able to see the desired growth in productivity. Tight Integration with Development Ecosystem: Unless the test automation tools are fully integrated with the development ecosystem that comprises of defect management, test management, etc., organizations will not be able to reap the complete benefit or to feel the impact. Powerful Reporting: While selecting a tool, it is critical to check that the tool provides robust reporting for every execution cycle, suite, and test case, across multiple builds and execution cycles. Reports that capture – for all stages of execution – the correct status of the software being tested, help the stakeholders make well-informed decisions. Select the right test cases to automate: Right test cases for automation are the business-critical test cases, as these should pass in every build. Some other test cases are those that are executed repeatedly, are too tedious to execute manually, and the ones that are time-consuming. Set up of the correct test environment: The test environment being set up must be as similar as possible to the production environment — including the hardware and software configuration. Maintain the test suite: The automation test scripts need to be modified or new scripts needs to be added, as and when new functionalities are added to the application. To improve the effectiveness of automation, the test suite must be regularly upgraded and must be easy to maintain. Test automation, whilst being an important aspect of functional testing, is not possible without selecting and implementing the right test automation solution. Organizations must also focus on regular enhancements of the skill-sets of their testers, define the scope of testing as clearly as possible, and continue to adopt and adapt to the latest technologies. Cigniti’s well-structured functional testing approach leverages proven industry standard testing techniques, tools, pre-built test accelerators, and methodologies and ensures that new features or enhancements do not cause any unintended impact to the quality of your applications.